Teresa is the owner and operater of Atlas Pilates. Her semi-official self-granted title is “Chief Exercise Officer.” She maintains a busy weekday teaching schedule and manages client service and our staff. 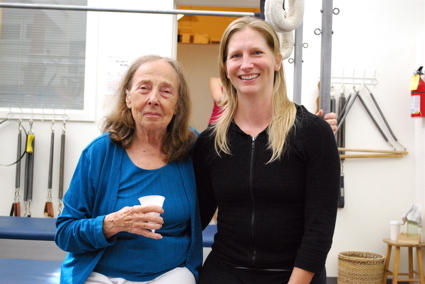 She was trained to teach Pilates in a comprehensive program with Lori Coleman-Brown and Dorothee VandeWalle in Seattle WA, and she was tested by Joseph Pilates protegée Romana Kryzanowska and certified by Pilates Inc. in 1996. 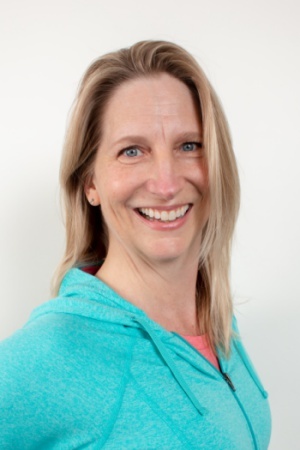 For more than ten years prior to opening Atlas Pilates, Teresa was an instructor at Pilates Seattle International where she worked and studied with many the world’s best Classical Pilates instructors, including “Pilates Elders” who were taught by Joe and Clara Pilates. Throughout her Pilates career she’s been fortunate to work alongside great physical therapists, and she’s acquired a great deal of experience patients in post-rehabilitation. Teresa holds a BFA in Dance from Ohio University, where she was introduced to the study of anatomy and kinesiology (the science of human movement). A professional modern dancer, Teresa has performed with The Pat Graney Company and The Big Red Dance Company in Seattle. Throughout her childhood, she studied at the Academy of Dance Arts in Middletown, Ohio. Decades of lifting other dancers has made her very conscious of alignment and posture, and has helped her to develop efficient and effective means of communicating precise corrections. Since 1994, Teresa has studied and taught martial arts at Seven Star Women’s Kung Fu, and currently holds the rank of Black Belt in the Hawaiian street-fighting art of Kajukenbo. She also spends some time every week training in a local boxing gym. Her martial arts training helps Teresa remain calm under pressure, move from her core, direct energy (chi), and mentor others. Pregnancy and post-partum fitness issues have interested Teresa since she had her own child. She’s guided several Pilates clients through pregnancy and childbirth and she’s developed several effective personalized Pilates fitness programs to help new mothers get back into great shape. Teresa Shupe teaches weekdays. Please contact us to book your appointment.